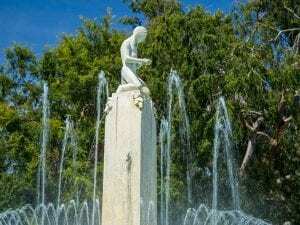 The Electric Fountain, located on the busy corner of Santa Monica and Wilshire Boulevards in Beverly Hills, California, is the centerpiece of Beverly Gardens Park. 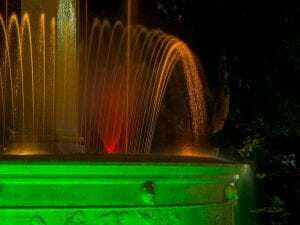 Illuminated by striking special effects, including a changing pattern of neon-colored lights at night, the fountain consists of two basins, with the upper basin containing a ring of varied height nozzles. 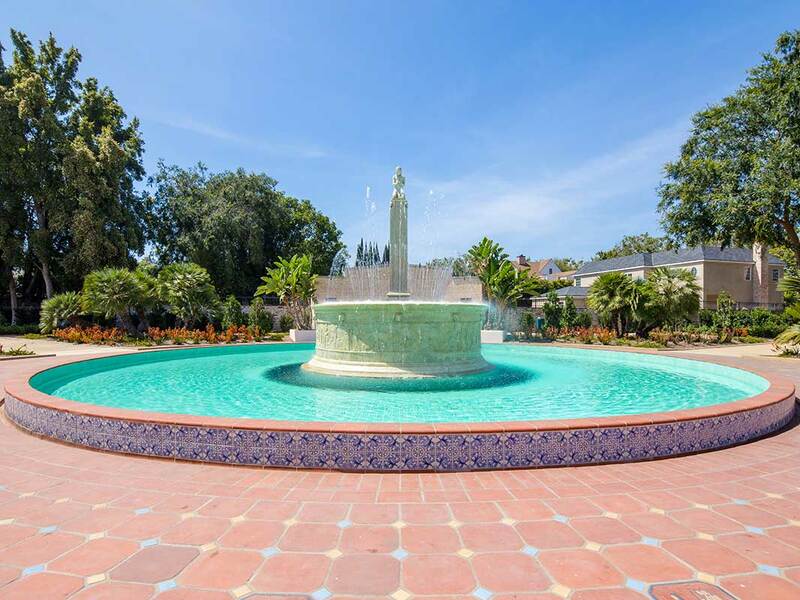 The sculpture and tiles that make up the design pay homage to the founding of the City, while the top of the fountain features a statue of a Tongva, a member of a local Native American tribe, kneeling in prayer. 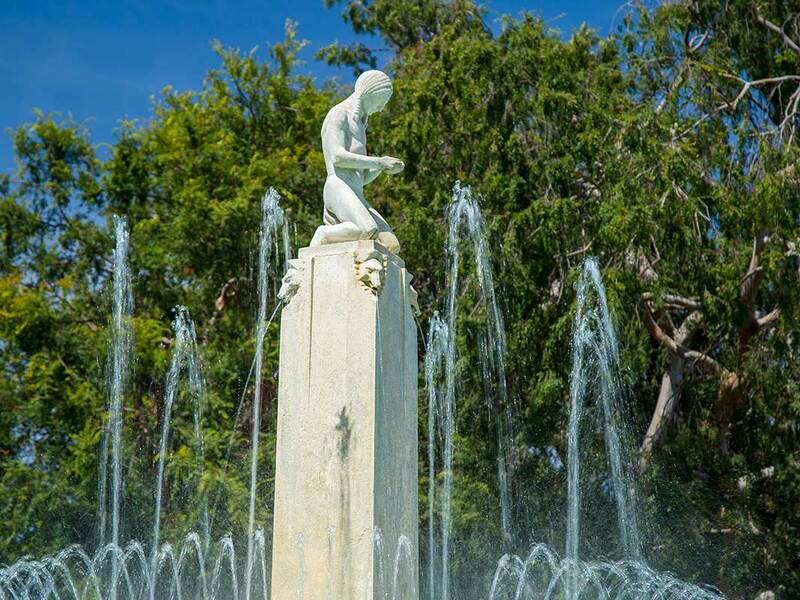 Erected in 1931, the fountain was designed by architect Ralph Carlin Flewelling and the sculpture at the top was designed by Robert Merrell Gage. Now over 80 years old, the fountain was in need of major restoration and California Waters welcomed the enormous task of bringing it back to life. 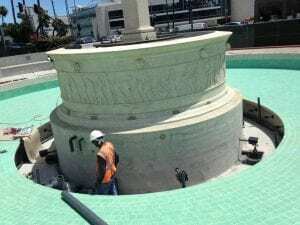 The first challenge came in the form of the equipment room’s location, deep underneath the actual fountain, and the second challenge came to light when it was discovered that the almost century old statue would need to be removed to access the plumbing. 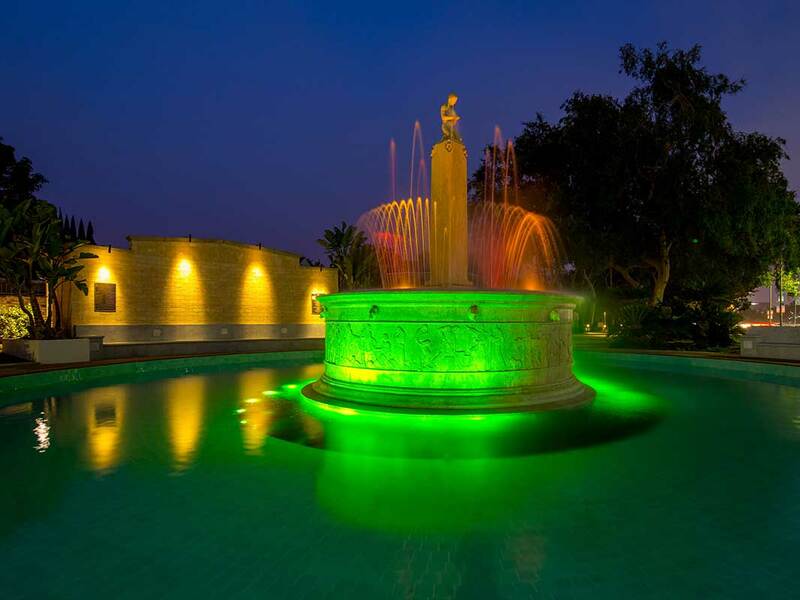 Both were overcome through innovation, ingenuity and attention to detail to ensure the condition of both the fountain and statue were safe-guarded. The project kicked off by demolishing and removing the existing plumbing. The entire structure was waterproofed, including the equipment room, which also received structural concrete repairs. 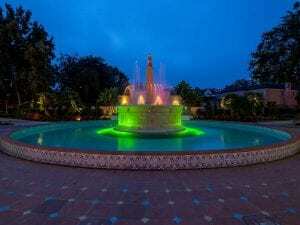 The renovation included the installation of all new mechanical equipment including automated water level, chemical feed and filtration systems. 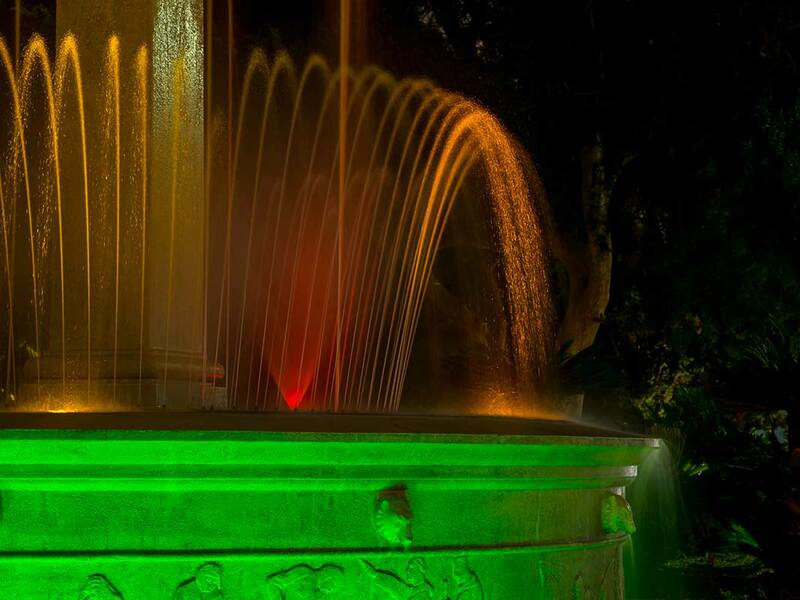 All lighting was replaced with new LED energy efficient lights and the existing nozzles were refurbished.